If the government is serious in modernizing public utility jeepneys (PUJs) in the country, Sen. Bam Aquino said it should provide affordable terms for the operators to avail of modern jeepneys. “Seryoso ba kayo sa jeepney modernization o gusto niyo ba silang i-phase out?”, asked Sen. Bam during the hearing of the Committee on Public Services. Based on his consultations with jeepney drivers and operators in various areas, Sen. Bam said he received complaints about the steep terms of payment for the modern jeepney. “Gustong mag-modernize at umasenso ng mga jeepney driver. Tulungan natin sila,” added Sen. Bam. 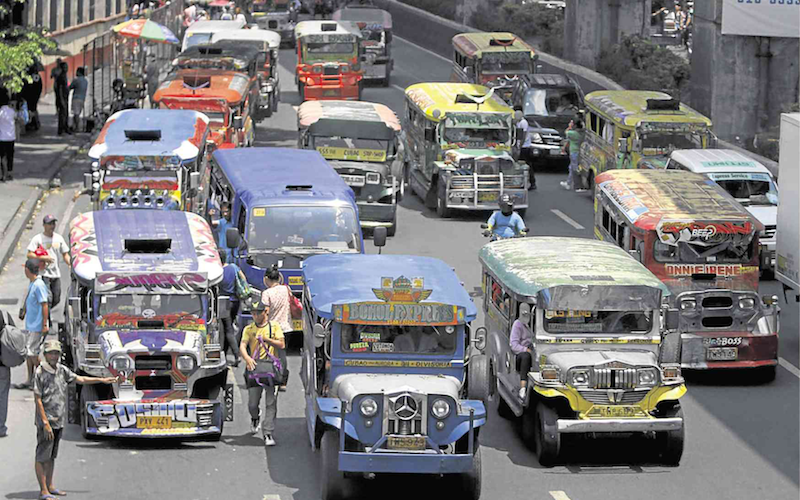 Sen. Bam urged transport officials to look into lowering the interest and extending the term period so that payments can be equivalent to the daily boundary of jeepney drivers. Different transport organizations present during the hearing supported Sen. Bam’s proposal. “Kung hindi natin itatapat ang offer ng gobyerno sa kanilang boundary, mawawalan ng kabuhayan ang mahihirap na Pilipino at baka malaking kumpanya pa ang pumalit at makinabang,” said Sen. Bam. “Suporta at hindi pahirap ang kailangan ng taumbayan, lalo na ang mga mahihirap na nalulunod na sa taas ng presyo ng petrolyo,” stressed Sen. Bam. Sen. Bam has been pushing for the quick implementation of the Pantawid Pasada Program and its expansion to other modes of transport like tricycles and UV Express vans. He also filed the Bawas Presyo Bill to roll-back and suspend TRAIN’s excise tax of petroleum products. 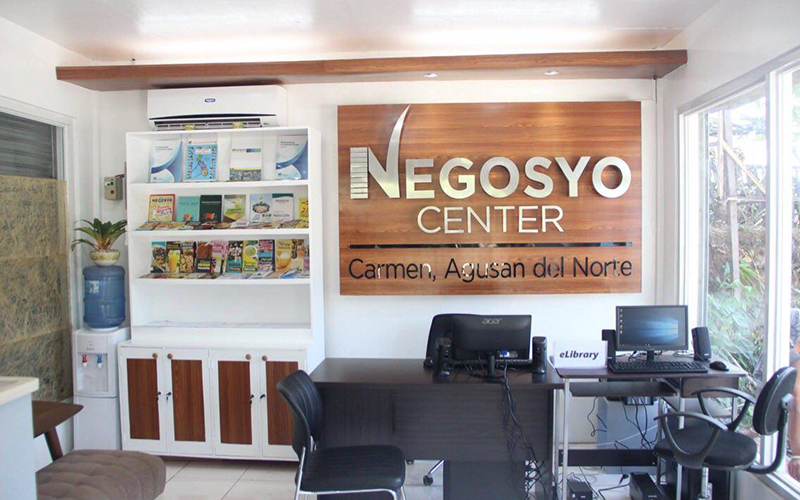 Residents of Carmen, Agusan del Norte can now visit their community’s Negosyo Center for help and support in starting a business or growing their family’s livelihood with the opening of the 900th Negosyo Center in the Philippines. “900 na ang mga Negosyo Centers na handang tumulong sa mga kababayan nating nais magnegosyo at magkaroon ng kabuhayan. Lahat po ay welcome kaya bumisita na kayo,” said Sen. Bam, principal sponsor and author of Republic Act No. 10644 or the Go Negosyo Act. Located at the municipal grounds, the newest Negosyo Center was inaugurated by Carmen mayor Ramon Calo. He was joined by other local officials, Department of Trade and Industry Undersecretary Zenaida Maglaya and other concerned stakeholders. Sen. Bam’s first enacted law in 2014, the Go Negosyo Act mandates the establishment of Negosyo Centers in all municipalities, cities and provinces that will assist micro, small and medium enterprises in the country. Negosyo Centers provide access to markets and financing for businesses, training programs, and a simplified business registration process, thus helping ease of doing business and fast-track government processes in putting up a business. 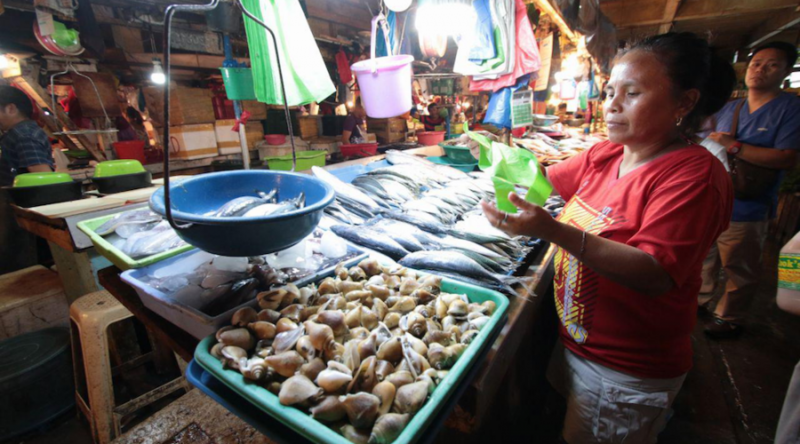 According to Sen. Bam, Negosyo Centers provide a key role in fulfilling the dreams of many Filipinos who want to establish their own business as means of livelihood. “Malaking bagay ang ating Negosyo Centers para mabigyan ng karampatang tulong ang ating mga kababayan na nais magnegosyo,” said Sen. Bam. “Maliban pa rito, makatutulong din ang Negosyo Center para mabigyan ng suporta ang mga kababayan nating nais kumita ng extra, lalo ngayong mataas ang presyo ng bilihin,” added Sen. Bam, a long-time advocate of micro, small and medium enterprise (MSME) development. 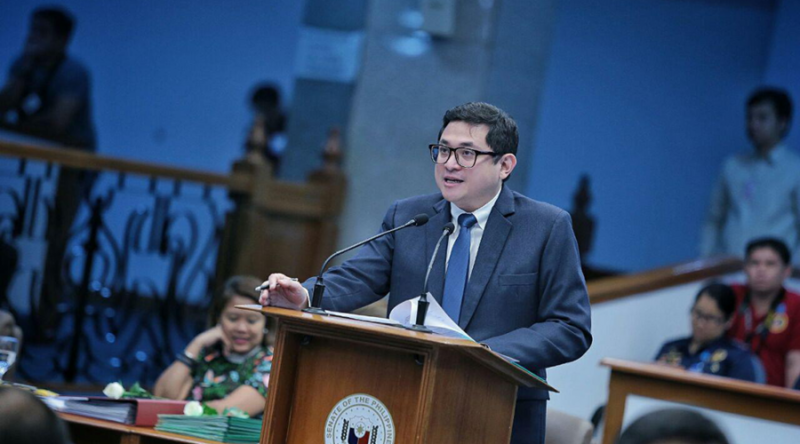 Sen. Bam Aquino urged political clans to make a stand and support the enactment of an anti-dynasty law for the sake of the Filipino people. “Manindigan din dapat kaming mula sa political family. Suportahan natin ang anti-dynasty law, para sa ikabubuti ng taumbayan,” said Sen. Bam, co-author of Senate Bill No. 1765 or the Anti-Political Dynasty Act of 2018. Sen. Bam said the passage of an anti-dynasty law will encourage and empower more excellent Filipinos with a passion for service, to run for office and be given the opportunity to effect change in government. “Matagal nang hindi pinapansin ang anti-political dynasty provision ng ating Konstitusyon. Panahon na para isabatas ito,” Sen. Bam stressed. “Tatlumpung taon nang overdue na ang batas na ito, at hindi ito pakiusap, mandato ito ng Konstitusyon. Dahil hindi lalago ang ating demokrasya hanggang may political dynasties.” Sen. Bam added. Sen. Bam also emphasized the importance of the law’s passage, especially with the government’s push for federalism, which will strengthen the grip of political dynasties in their respective turfs. Sen. Bam is one of the co-authors of the Anti-Political Dynasty Act of 2018 in the Senate. “Huwag na patagalin pa ang paghihirap ng ating mga kababayan. May magagawa tayo para maibsan ang pagtaas ng presyo,” said Sen. Bam, one of four senators who voted against the ratification of the TRAIN Law. “Simplehan lang po natin. Taas presyo ang problema, bawas presyo ang solusyon. Kailangang ipasa na ang Bawas Presyo Bill sa lalong madaling panahon,” added Sen. Bam, referring to his Senate Bill No. 1798. Sen. Bam’s measure seeks to suspend the excise tax on fuel under the TRAIN Law when the average inflation rate surpasses the annual inflation target over a three-month period. According to Sen. Bam, the government cannot escape the fact that its tax reform program, particularly the excise tax on fuel under the TRAIN Law, has led to the increase in prices of goods and services and the rise in inflation rate. He added that under the TRAIN Law, another increase in the excise tax on fuel is scheduled for January 2019. “Huwag naman natin hayaan na itaas pa ng gobyerno ang presyo ng petrolyo habang nalulunod ang mga pamilya sa gastos,” urged Sen. Bam. Sen. Bam also urged Congress to prioritize the suspension and rollback of excise tax under the TRAIN Law, instead of focusing on the passage of TRAIN 2. Now that the Commission on Elections has spoken on the issue of the 25-percent threshold, Sen. Bam Aquino is confident that the Presidential Electoral Tribunal will do the right thing in the election protest filed against Vice President Leni Robredo by losing candidate Ferdinand Marcos Jr.
“With no less than the Comelec saying that the 25-percent threshold should be used in the manual recount, we expect the PET to use it as guide in making the right decision,” said Sen. Bam, campaign manager of Vice President Robredo in the 2016 elections. “In the end, I am confident that VP Leni will be vindicated from the false accusations made against her and her victory will be proven,” added Sen. Bam. In its comment to the PET on the motion for reconsideration filed by Vice President Robredo, the Comelec informed the PET that the vote-counting machines used the 25-percent shading threshold in the 2016 elections. The Comelec said it used the said threshold to ensure votes are not wasted due to inadequate shading or that no accidental or unintended small marks are counted as votes. 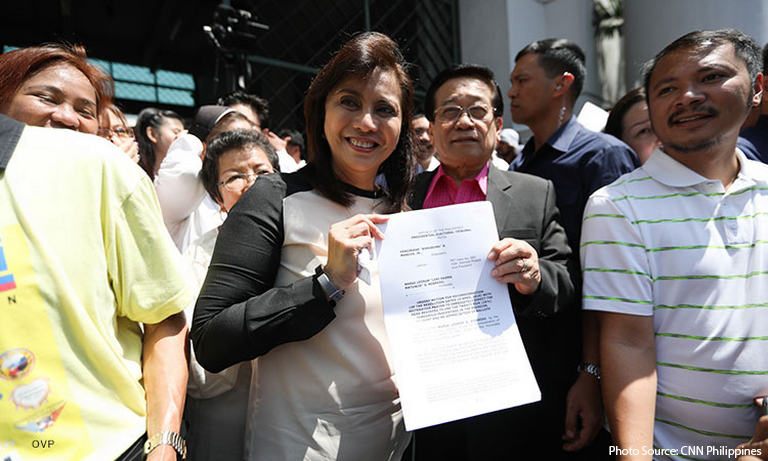 Earlier, VP Robredo filed a motion for reconsideration after the PET allowed the use of the 50-percent threshold in the manual recount for vice president. If used, the 50-percent threshold, that was last utilized in the 2010 elections, could lead to massive disenfranchisement of votes for both camps, Robredo’s legal counsel Romulo Macalintal insisted. Instead of pushing for the passage of its second package, Senator Bam Aquino urged the government the first address the woes inflicted by the Tax Reform for Acceleration and Inclusion (TRAIN) Law to the Filipino people. “Hindi pa nakaka-move on ang taumbayan sa TRAIN 1, TRAIN 2 na ang pinag-uusapan. Alam naman po nating madami pa rin ang napeperwisyo ng TRAIN Law,” said Sen. Bam, one of senators who voted against the ratification of the government’s tax reform program. On Monday, President Duterte said around four million Filipino families have benefited from the unconditional cash transfer given by the government as part of the TRAIN Law. However, Sen. Bam said there is a long way to go for the government as it has yet to release assistance to six million more poor Filipino families. “Nabanggit pa sa SONA na maraming natutulungang mahirap ang TRAIN. Ipinagmalaki na apat na milyon ang nabigyan ng tulong sa TRAIN Law, pero kulang pa ng 6 milyon. Hindi ba bagsak ang grado na 40%?” added Sen. Bam. “Aksyunan na lang natin ang problema. Kailangang isalba ang nalulunod sa taas presyo, lalo na ang mahihirap na Pilipino,” Sen. Bam insisted. Sen. Bam said Congress should prioritize the suspension and rollback of excise tax under the TRAIN Law, instead of working on the passage of TRAIN 2. Sen. Bam has filed a measure that seeks to suspend and roll back the excise tax on petroleum products under the TRAIN Law. Under Sen. Bam’s measure, the excise tax on fuel under the TRAIN Law will be suspended and rolled back once average inflation rate surpasses the annual inflation target over a three-month period. The senator emphasized that a suspension and rollback are necessary as there is a scheduled increase in excise tax on petroleum products under the TRAIN Law come January 2019. 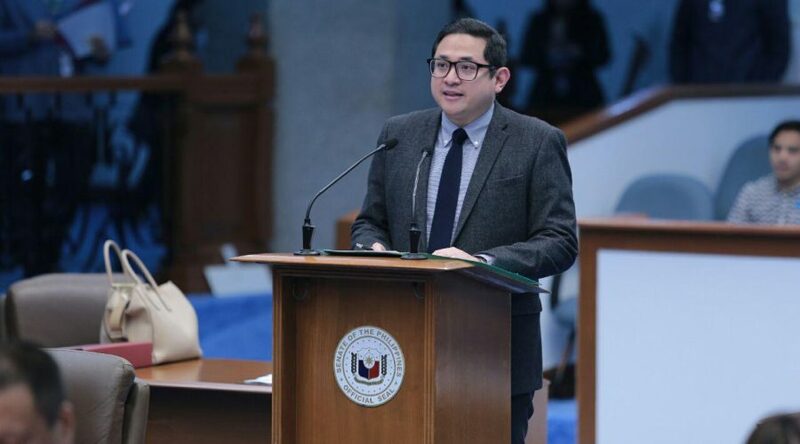 With Malacanang firm on implementing the Tax Reform for Acceleration and Inclusion (TRAIN) Law, Senator Bam Aquino said poor Filipinos now look up to the Senate to save them from high prices of goods and services. “Malinaw ang pakiusap ng taumbayan na nalulunod sa taas presyo. Ang tanong lang ngayon ay kung makikinig ba ang Senado,” said Sen. Bam, one of four senators who voted against the ratification of the TRAIN Law. With the government virtually turning its back on Filipinos, Sen. Bam said Filipinos have no one else to turn to but the Senate, which holds the capacity to ease the suffering of our poor countrymen. “Nakinig tayo sa SONA na umaasang matutugunan ang tumitinding problema mataas na presyo ng bilihin, subalit tayong lahat ay nabigo,” said Sen. Bam, referring to President Duterte’s State of the Nation Address (SONA). 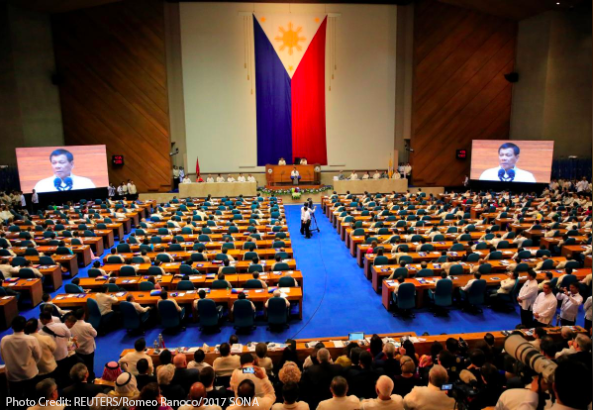 President Duterte, in his SONA, insisted that the government has no plan of stopping the implementation of the TRAIN Law and pushed for the passage of its second package before the year ends. “Dahil hindi kasama sa prayoridad ng gobyerno ang kapakanan ng taumbayan, tayo sa Senado ngayon ang inaasahan ng ating mga kababayan. Huwag sana natin silang biguin,” the senator added. Sen. Bam emphasized that the suspension of TRAIN Law is not about politics, but about the lives of Filipino people, who are drowning in high prices of goods due to the government’s tax reform program. Sen. Bam renewed his call to fellow lawmakers to support the measure that he filed, seeking to suspend and roll back the excise tax on petroleum products under the TRAIN Law. 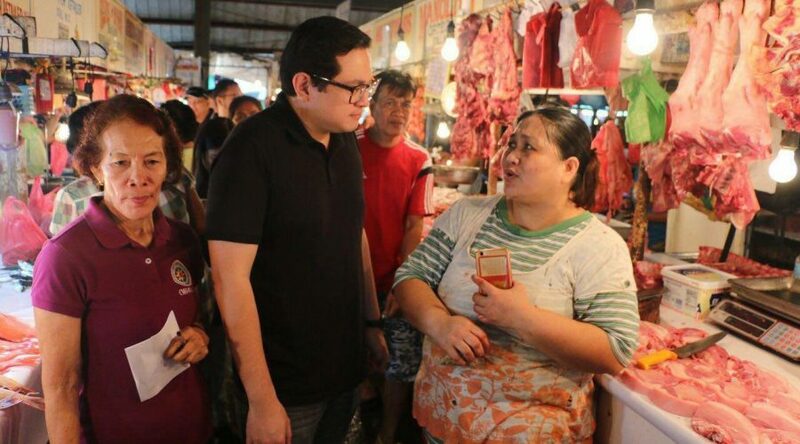 Senator Bam Aquino disputed President Duterte’s claim in his State of the Nation Address (SONA) that the Tax Reform for Acceleration and Inclusion (TRAIN) Law is already helping poor families cope up with rising prices. “Hindi po kaya ng konsensya ko na tanggapin iyong sinabi sa SONA na nakakatulong daw ang TRAIN sa mahihirap dahil kabaligtaran po ang katotohanan,” said Sen. Bam, one of four senators who voted against the ratification of the government’s tax reform program. ”Kahit saan po ako pumunta, iisa ang sinasabi ng mga kababayan natin, nalulunod na sila sa taas presyo, hirap na hirap na ang kanilang pamilya,” added Sen. Bam. 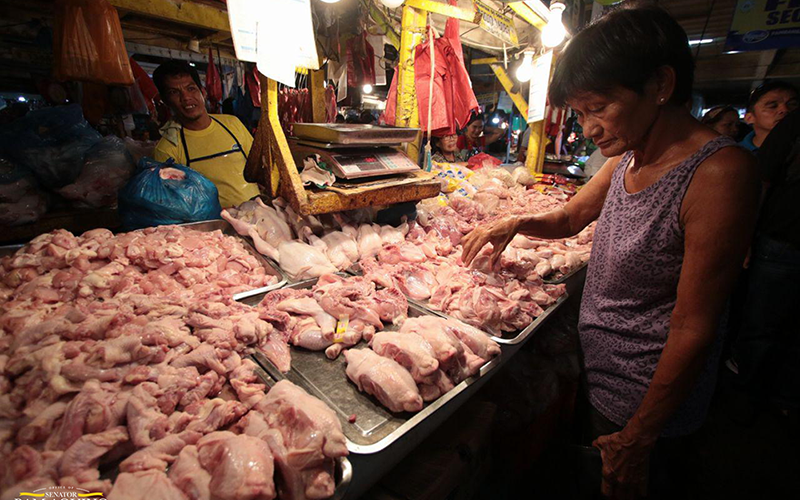 While Sen. Bam liked President Duterte’s push for reforms with regards to rice, the senator insisted that the people wanted relief from the high prices of goods and services and the rising inflation. “Tulad ng marami nating kababayan, umasa tayo kahapon na tutugunan ang lumalalang problema ng taas presyo pero nabigo po tayo,” said Sen. Bam. “Ngunit hindi pa rito natatapos ang dusang hatid ng TRAIN dahil may panibago na namang increase sa January 2019 at sa January 2020. Hanggang hindi ito itinitigil ng gobyerno, tuluy-tuloy ang taas ng presyo,” he added. Around 10 million poor families were supposed to receive unconditional cash transfers to cushion the impact of the TRAIN. However, President Duterte admitted that only four million of those families have received transfers so far, while the other six million families have yet to receive a single cent of assistance from government. “Hindi dapat ipinagmamalaki ng gobyerno ang huli at kulang ang implementasyon. Dapat binigay na ang tulong na iyan noon pang January 2018,” said Sen. Bam. With Malacanang firm on its stand to continue with the TRAIN Law, Sen. Bam is banking on his fellow lawmakers to put a halt to its implementation for the sake of the Filipino people who are already burdened with high prices of goods and services. ”Kailangan nating magtulungan na kumbinsihin ang mga mambabatas na ipreno ang TRAIN para sa ating mga kababayan na nagdurusa sa mahal na halaga ng bilihin,” said Sen. Bam. Sen. Bam also is pushing for the full implementation of mitigating measures under the TRAIN Law, such as the unconditional cash transfer program for poor families and the Pantawid Pasada for jeepney operators and drivers. 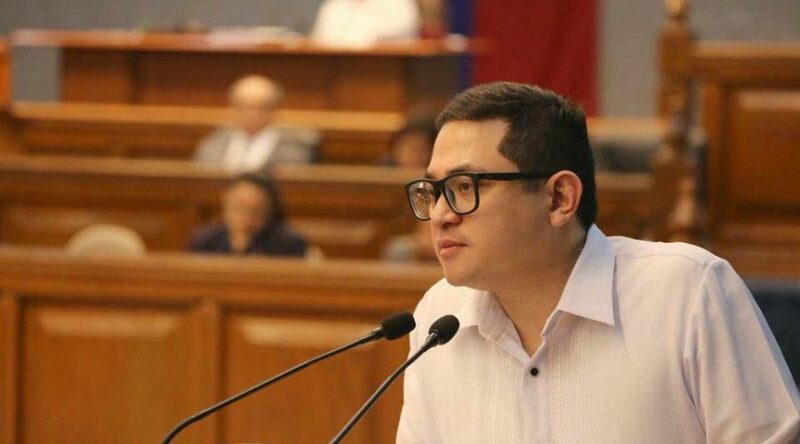 Senator Bam Aquino hopes that a candidate’s track record and accomplishments will matter most in the 2019 elections. “Kaya tayo tumututol sa No-El, para magka-eleksiyon at magkaalaman na. Ano ba ang talaga ang ginawa para sa bayan? Ano ba ang plano mo para sa tao,” said Sen. Bam in reply to Sec. Bong Go’s statement to President Duterte’s critics. The lawmaker said the 2019 elections should serve as an acid test for a candidate’s performance. “I’m hoping that the 2019 elections, hindi lang ito popularity contest, o paramihan ng tarpaulin o paramihan ng giveaway. Sana isa itong eleksiyon kung saan kailangan mo talagang suriin ang bawat kandidato,” said Sen. Bam. “Ano ba ang naibigay sa taumbayan, ano ba ang pinaglalaban, saan ba siya tahimik? Let’s have an elections na iyon ang focus, para makapili tayo ng mga pinunong makatutulong sa bayan,” added the senator. Sen. Bam has 24 laws in his five years as senator, including the Go Negosyo Act and the Universal Access to Quality Tertiary Education Act. He was the principal sponsor of the law making college education free in public universities and colleges. A senator said President Duterte should make his third State of the Nation Address (SONA) about addressing the plight of poor Filipinos burdened by high prices of goods due to the Tax Reform for Acceleration and Inclusion (TRAIN) Law. “Sana pag-usapan ang mga solusyon sa pagtaas presyo sa SONA ng Pangulo. Suspindihin na itong excise tax sa petrolyo para mabigyan ng ginhawa ang mga pamilyang nalulunod sa gastos,” said Sen. Bam, one of four senators who voted against the ratification of the government’s tax reform program. “Mula sa puso daw ang SONA ngayon. Sana mula sa isang pusong may malasakit sa mahihirap na Pilipinong nasasagasaan ng mga programa ng gobyerno,” added Sen. Bam. Earlier, Sen. Bam said that the 11-point drop in President Duterte’s net approval rating is a cry for help from Filipinos, who are suffering due to the government’s tax reform program. “Ang pagbaba ng rating ng Pangulo ay paghingi ng saklolo ng taumbayan sa matinding pabigat ng TRAIN Law at taas-presyo,” said Sen. Bam. Sen. Bam is hoping that President Duterte will support his measure seeking to suspend and roll back the excise tax on petroleum products under the TRAIN Law.